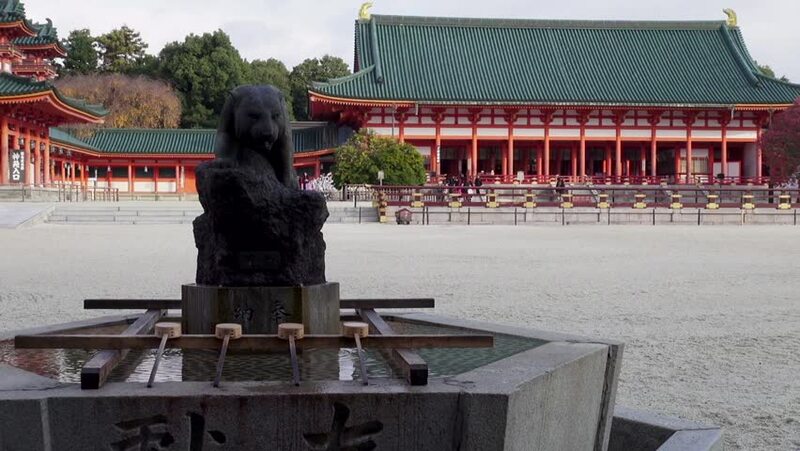 A stone lion watches over a water basin at Heian Jingu in Kyoto. 60 fps can be retimed for slow motion. hd00:15A fountain with a statue and dippers at the Shinto shrine Heian Jingu in Kyoto on a rainy day. ProRes 422 (HQ). 60 fps can be retimed for slow motion. hd00:37RIO DE JANEIRO - 2013: Tourists visit Christ the Redeemer, Corcovado, meaning "hunchback" in Portuguese, is a mountain in central Rio de Janeiro, Brazil.